Two Sports Captains, Two Discipline Prefects and Two Cultural Heads. 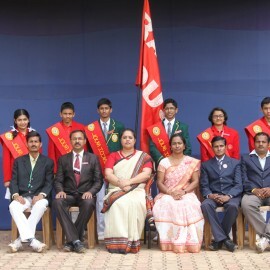 They are assisted by a Council of Vice Prefects, who comprise of 8 students from class IX. 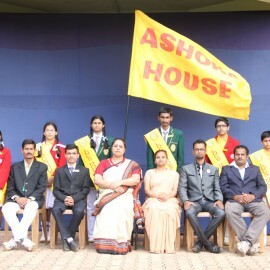 The Shivaji House is headed by the Head Girls Miss Priya Shetty & Miss Soumya Patil. Asst. Head Boy Master Rahul G & Asst. Head Girl Miss Shrilaxmi;Prefects Master Tanishq R & Miss.Simran P.
The Tagore House is headed by the Head Boy Master Rishab P & Head Girl Miss Spoorthi. Asst.Head Boy Master Shivalingappa & Asst. 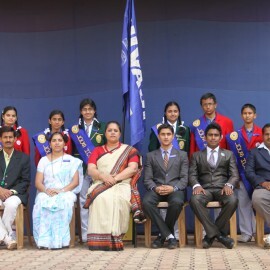 Head Girl Miss Chinmay & Prefects Master Nikhil P & Miss Arpita N.
The Ashoka House is headed by the Head Boy Master Shamnath & Head Girl Miss Akshata H.
Asst Head Boy Master Ganesh & Asst Head Girl Miss.Sadaf,Prefects Master Harish P & Miss Sana. The Raman House is headed by the Head Boy Master Amey & Head Girl Miss Sudiksha. 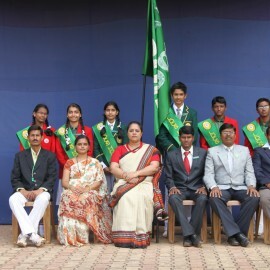 Asst.Head Boy Master Abhishek & Asst.Head Girl Miss Vaishnavi & one Prefects Master Atharva S & Miss Ushma.